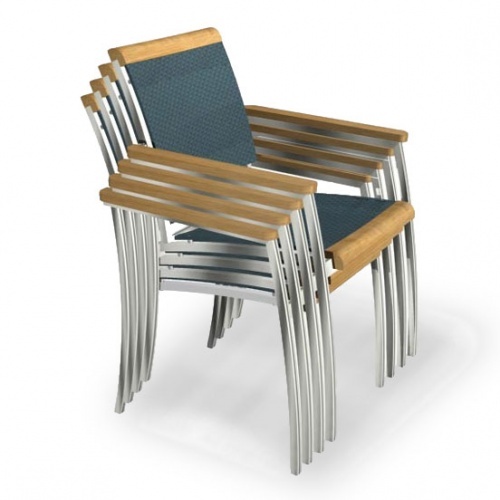 Nevis Folding Table, Stainless Steel Kelly Stacking Chair Set for 6 dining set will intrigue your friends and guests. 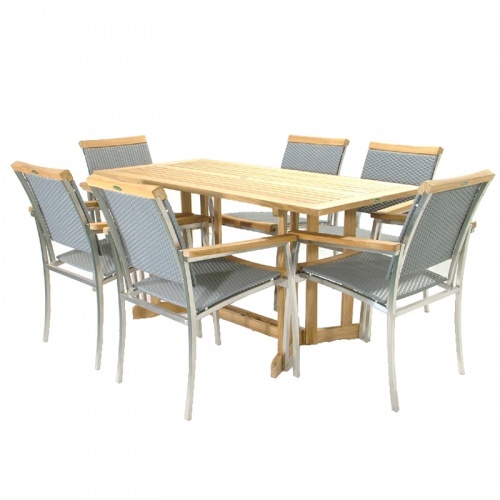 This Teak Furniture set is the most durable wooden outdoor furniture on the market today. Stainless Kelly Chairs made from PVC, Plasticized Vinyl and Teak. 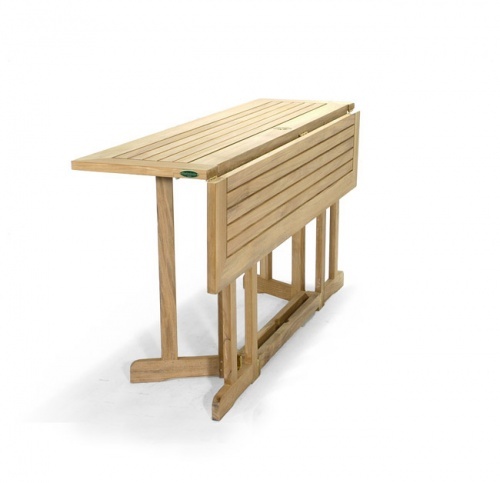 All of our Teak outdoor furniture has a life expectancy of 75 years untreated and weathered. 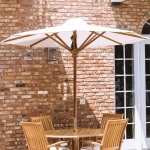 With a little treatment, your teak patio furniture will become a heirloom to your children.